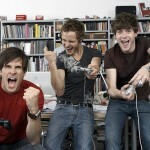 On-site games are being used more and more in workplaces in recent years. There are a variety of possibilities for on-site games, including ping pong, foozball, board games and even video games. On-site game provide a number of benefits for both employees and employers and shouldn’t be seen as negative or a reason for employees to slack off. Conversely, on-site games can provide a wealth of positive effects by creating a more positive atmosphere in the workplace. The wide variety of games available makes it possible for employers to cater specifically to their employees, making the positive effects even more powerful. One of the most successful companies in the world, Google, has many on-site games available to their employees. Employees benefit immensely from having on-site games available. Studies have shown that sitting all day is detrimental to a person’s health, so having opportunities to get up and play during the day is critical for the health of employees. Additionally, games like ping pong or other physically involved games can be an excellent source of some quick exercise. This can include a number of motion based rhythm and dance video games as well. Games also have a number of other positive effects, such as stimulating brain function, aiding with hand/eye coordination, increasing concentration, and providing social interaction for those involved as well as onlookers. Games often have various different tasks to contrast the normal tasks expected in the workplace. This is especially true for various video games, and having these different tasks available will help alleviate any feelings of monotony that employees can often get at work. Games can be therapeutic for any number of other negative emotions an employee might feel at work as well, such as stress or anxiety. The feedback that games provide also acts as a contrast to feedback in the workplace. Rather than infrequent feedback in the form of staff meetings and employee reviews, games give immediate feedback to those playing. 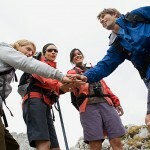 This can be a refreshing change of pace for employees. The benefits to employees tend to be more obvious and immediate, but there are many benefits that on-site games can have for the employers. The positive atmosphere that is fostered by the availability of on-site games can help boost employee morale significantly, which is an immense benefit in the long run. Research has shown that companies that engage their employees and provide opportunities for play in the workplace have approximately four times the financial growth of companies that do not. 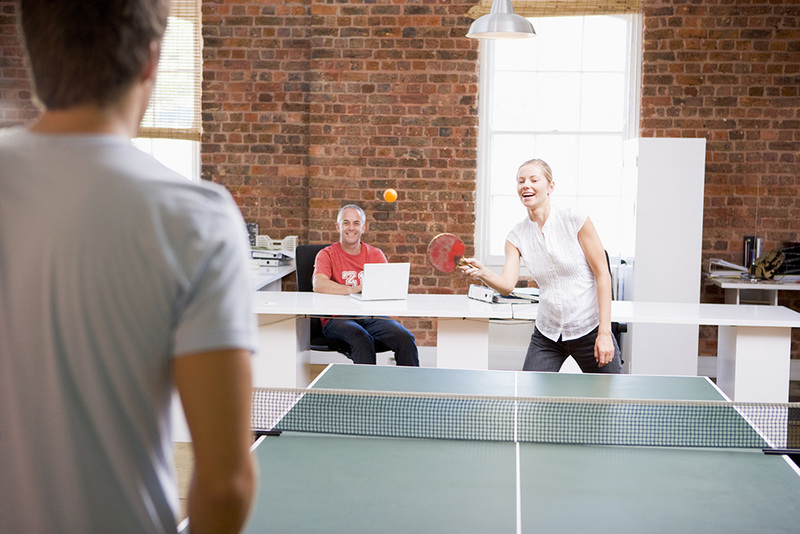 Keeping your employees active is critical to keeping their energy and engagement levels up. Having reliable employees is of utmost important to employers, and by offering a fun and positive atmosphere through on-site games, employees will want to come to work and stay with the company through tough times. This eliminates any need to be constantly losing old employees and introducing new ones, which also eliminates the need to spend time and money on training. In addition, employees can feel more comfortable at work and less stressed out about the possibility of layoffs.